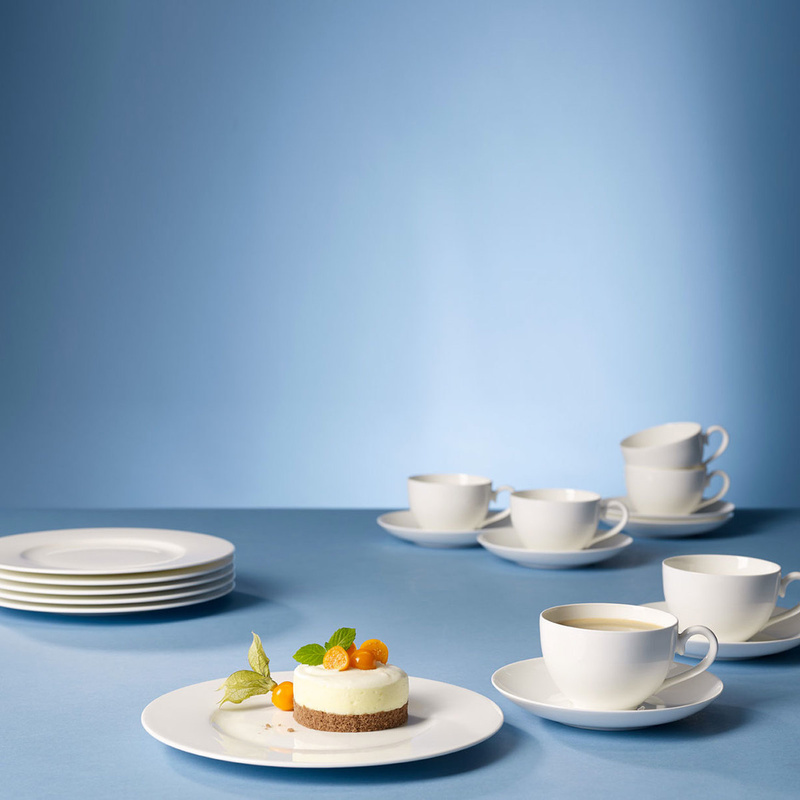 The espresso cup saucer by Villeroy & Boch: all the beauty of a simple and essential design. Sometimes an object doesn't need a complicated design to possess an exceptional aesthetic; in some cases, the beauty of an accessory for the table also passes through its refined and extreme simplicity. This is the case of this saucer for espresso cup that was created at first to bring back to fashion pure geometric forms accompanied by bright neutral tones. It has a diameter of 12 cm and a weight of 0.124 kg, and the material with which it has been manufactured is Premium Bone china. It belongs to a collection called Royal, whose name suggests the concept that inspired the design of each piece. Everything has been reinterpreted and revisited in a classic and elegant style to give a touch of good taste to every table. Clean lines that stand out even more thanks to the use of white that gives light and brightness by shining the surface in a subtle chiaroscuro. 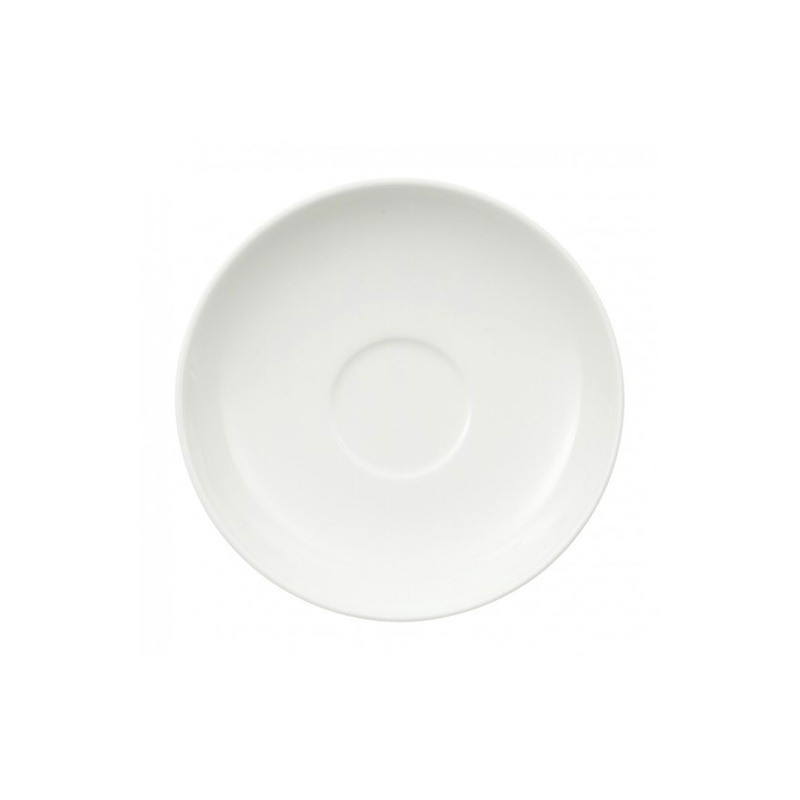 This saucer possesses some characteristics that make it an article of first quality. It's dishwasher safe, even at high temperatures. The material used to make this piece gives it an ethereal texture, light, impalpable, but also a great personality. What's surprising is that despite looking so incorporeal this saucer is incredibly resistant. The German brand Villeroy & Boch is a brand that rules in the field of production of tableware and items for the bathroom since 1748. A brand that has always been able to present collections of great class and where the use of lofty raw materials has made a difference. Buy a product of this group is to have the guarantee of having a trendy article that will never go out of fashion.